With its dramatic sails and yacht-like feel, the four-masted Wind Spirit is a natural fit for Tahitian waters, which it cruises year-round. There's a relaxed, feel-good vibe to this ship, in large measure due to the iconic destination and passengers who are there to chill. Wind Spirit has a modest profile, 360 feet long at the waterline, and with just 148 passengers, the onboard experience is more river ship than ocean ship. What does that mean? You will never feel crowded, whether it's waiting for a tender to shuttle you to shore or lining up for the breakfast buffet. And with a staff-to-passenger ratio of 1 to 1.5, service across the ship is top-notch. 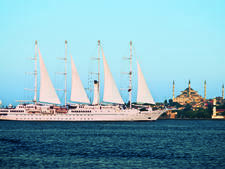 You won't be watching movies under the stars or Broadway-style shows that are hallmarks of the large ocean ships -- but you will likely enjoy sail-away every afternoon. Not surprisingly, these are active itineraries with an emphasis on water sports, although shore excursions and enrichment programs also highlight the culture and sacred spaces of the islands. Wind Spirit also knows how to throw a party, French Polynesian-style. Its "destination discovery" events on tiny, private islands called "motus" -- ranging from beach parties to feasts followed by fire-walking performances -- rival the best its competitors have to offer. Polynesians use the word "mana" to refer to the spirit of their islands. 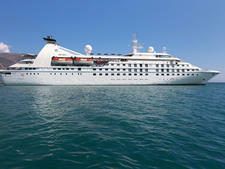 The aptly named Wind Spirit does a terrific job bringing that mana to the passenger experience. 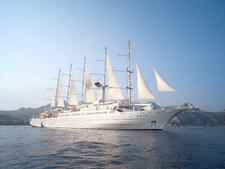 Due to the ship's active itineraries, most Wind Spirit passengers are in their 50s and early 60s. You will also find young honeymooners and retirees. Passengers are seasoned travelers, largely from the United States, New Zealand and Australia. Cruise Critic’s professional photographers and our extraordinary community members have taken 396 pictures of Windstar Wind Spirit. When you visit our photo galleries, you can be assured that what you see is what you get. Life onboard is casual -- no need for suits or fancy eveningwear. During the day, weather- and activity-appropriate clothing includes swimwear, shorts, T-shirts and tank tops. At night, jeans and shorts are not permitted in the main dining room although black or white jeans seem to get a pass. It's recommended that men don trousers with collared shirts or Polos and women wear sundresses, pants or casual cocktail attire. Also make room in your suitcase for lightweight rain gear or a travel umbrella. After all, it's the tropics. 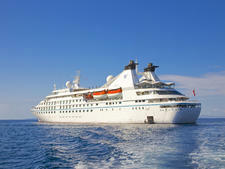 The cruise fare includes complimentary "discovery destination" events, nonalcoholic beverages, all meals in all venues, 24-hour room service, water sports off the marina platform, fitness classes, market tours with the chef, a Champagne welcome reception and afternoon in-cabin canapes upon request. On the 17-night itinerary, laundry is also included. 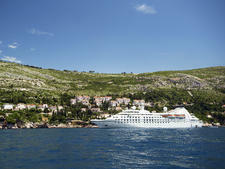 Wind Spirit charges a per-passenger gratuity of $13.50 per day. Gratuities are shared by crew members who serve you directly, such as waiters and stewards, as well as those whom you may never meet, such as galley and laundry staff. If service exceeds or fails to meet your expectations, you may adjust the amount accordingly at the conclusion of the cruise. In addition, a 15 percent service charge is automatically added to all spa and bar charges, dining room wine purchases and beverage packages. Beverage packages, featuring wines, beers, cocktails, cordials and liqueurs, cost $32, $42 or $52 per passenger per day. The U.S. dollar is the onboard currency.